This book, authored by James Copestake, Martin Greeley, Susan Johnson, Naila Kabeer and Anton Simanowitz, presents the findings of a five-year action research programme into how far poverty-oriented microfinance institutions (MFIs) in Africa, Asia, and Latin America are contributing to global poverty reduction, and how they can do so more effectively. Martin Greeley reviews evidence on their success in reaching poorer clients and improving the average income and wealth of their clients (chs 2&3). Naila Kabeer reviews evidence on performance against a wider array of indicators, including women’s empowerment, citizenship rights, and social inclusion (chs.4&5). Both authors highlight methodological difficulties associated with assessing impact, but are cautiously positive. Susan Johnson is more cautious, suggesting that the contribution of MFIs to the overall growth of financial services in selected parts of Africa and India remains small (ch.6). 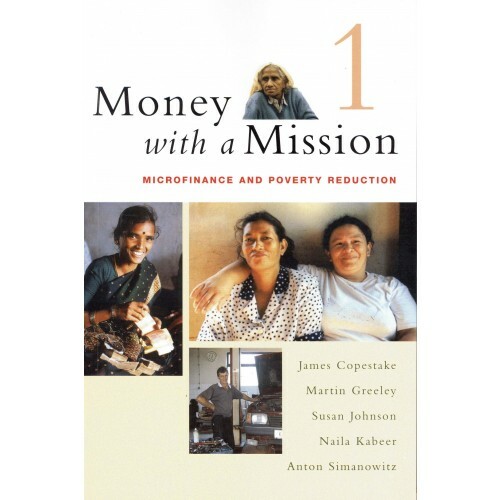 James Copestake reviews evidence on the organizational factors that influence achievement of MFIs’ social as well as financial goals, as well as progress in routinely monitoring and managing social performance (ch.7&8). He and Anton Simanowitz then make clear and simple suggestions for how this can be done better (ch.9). This covers how MFIs can manage their ‘double bottom lines’ more effectively, as well as what public and private investors in microfinance can do to help them. The bigger challenge, linking up with the wider movement for corporate social responsibility, is to find ways to do so across the entire financial sector.